Winsome Leslie is the Multilateral Investment Fund's regional supervisor for the English-speaking Caribbean and Haiti. Previously, she was the economic attaché at the Embassy of Jamaica in Washington, D.C. She has a PhD in international relations from Columbia University. Microentrepreneurs in these countries tend to rely on personal savings and informal sources of funds to finance their businesses, rather than the microcredit that is favored in the rest of Latin America. Savings rates in the English-speaking Caribbean average more than 90%, significantly higher than in the rest of the region. This reliance on savings makes it difficult for local microfinance institutions to increase their client outreach, efficiency, and gains, and to consolidate their market share. 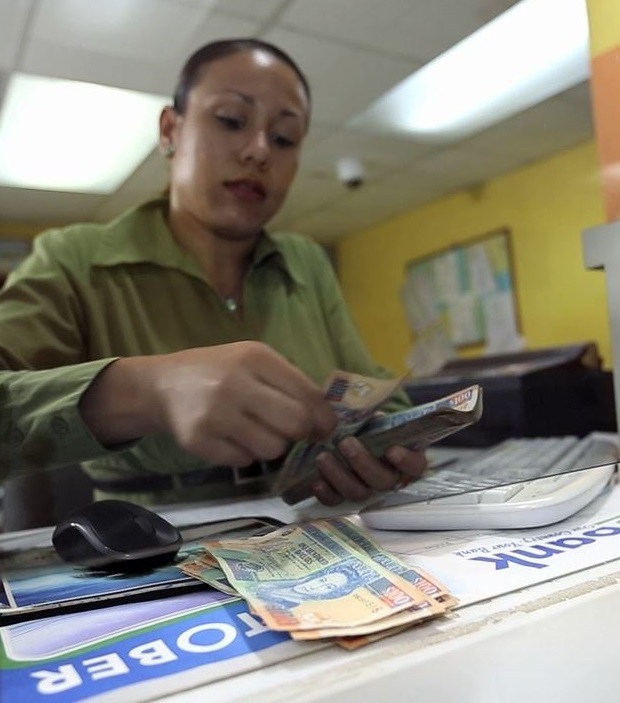 Nevertheless, despite this hurdle, the microfinance sector plays a key role in the Caribbean--both in promoting financial inclusion for the unbanked and in mitigating poverty--and therefore its sustainability is critical. There is no "one-size-fits-all" approach to further develop microfinance in the English-speaking Caribbean, because there are variations in market dynamics and the microcredit landscape within the different countries. With assistance from donors such as the Caribbean Development Bank, the Inter-American Development Bank, and the European Commission, several credit unions in the region are now making microfinance loans according to international best practices, whereas previously, their microfinance portfolios essentially consisted of personal and consumer loans being used for business purposes. There are no established microfinance institutions in the conventional sense, and none of the country's seven credit unions are active in microfinance. Several commercial banks offer microcredit-type facilities, but these are consumer loans. The norm is the informal credit arrangements common in the rest of the region, called Asue in The Bahamas, in which groups of individuals contribute a set amount on a regular basis to a "pool," and each month, a group member receives a payout of the entire "pool." Established businesses, such as law firms, offer payday loans for salaried workers. These informal transactions are frequently used for business purposes, indicating that micro and small business need access to credit as well as to a range of other financial services. Other than anecdotal evidence, the extent of this need is not clear, although current estimates indicate that about 50 percent to 60 percent of the population is underbanked. Start with a recognized brand. An institution that is successful in the consumer lending market and a recognized "brand" should take the lead. Consumer lending can be used as a basis to venture into the "riskier" segment of extending microcredit to microentrepreneurs who are either launching or growing a business, and can be used to offset possible initial losses. Realistically, given the small market size of the country overall, these microloans will not be profitable by themselves. However, once this approach is proven successful, it is likely that other institutions will follow. The credit unions in The Bahamas should be prepared to play a role in developing the microfinance sector, and can draw on the knowledge and experience of many credit unions in the region that have successfully launched microcredit products, backed by savings, in the last few years. Know the market. The financing needs of microbusinesses in various sectors must be analyzed to precisely determine the level of demand and the types of loan products needed. This will help ensure that innovative niche products are developed, linked to client needs, which can be tested in the market on a pilot basis before they are fully rolled out. Leverage technology to build a clientele. While the bulk of businesses are in the more urbanized destinations--Nassau and Grand Bahama--it is important to service the more distant islands as well, where access to finance is extremely limited. In these locations, the only way to go is a branchless banking program grounded in the use of mobile banking technology, such as mobile wallets. Know your client. Building strong client relations is crucial, according to international best practices, which stress transparency and client protection. Microcredit products should go hand-in-hand with financial education that focuses on responsible borrowing. One Bahamian company, Transfer Solutions Providers, has already taken some of these steps. Two years ago, it launched a product called FlashCA$H that offers personal microcredit loans with terms that are longer than industry standards. FlashCA$H is now a recognized and widely used financial product for the underbanked, whose clients are salaried workers in both the public and private sectors. Based on a market study, the company now plans to diversify into microloans tailored to the needs of microentrepreneurs and small business, , and to include financial education as part of its suite of services. Its goal is to be the first company to offer microfinance services to the unbanked in The Bahamas. Other small countries with similar challenges could consider the Transfer Solutions strategy.